The Man Island project is an Australian first; a team of mental health researchers working together to better understand how men access, engage and improve in treatment. 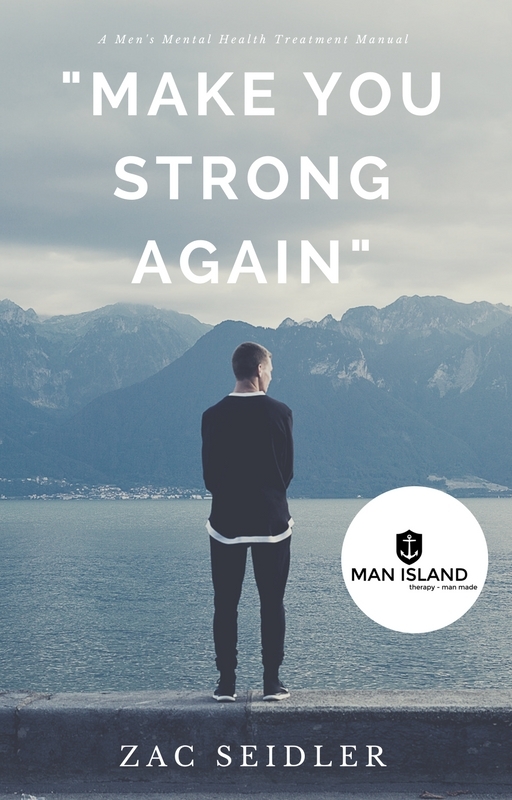 Man Island will develop and trial the first ever male-centred mental health treatment, to offer Australian men an option that they want and find engaging. An accompanying training program with targeted modules for mental health clinicians. Through co-development with men and experts in the field, we will provide clinicians with a new-approach to treating men with mental health concerns, incorporating the strengths of their masculinity. It's important to know that this isn't a quick study that will churn out results overnight. We are in this for the long haul. We are dedicated to building Man Island from scratch, in order to reduce the overwhelming suicide rate among men in this country, and to ensure that no man feels like they are lost, alone, on an island. Everything we discover, we'll give right back to you as quickly as we can. This page will be where you can see our results, show them to your mate, your partner or your clinician and help get the message out. Therapy is changing, for the better.